We love pizza! How about you? We love all crust and all toppings. Two of my daughters only want cheese, the other needs only pepperoni. I love a veggie pizza and my husband is an all meat lovers pizza eater. You name it, we've made it or purchased it. When it comes to purchasing frozen pizza, Freschetta is the choice. Why? pizza will always deliver Fresch® flavor. 100 winners --to each receive 5 Freschetta® pizzas. On March 30, they will also select 10 winners –who will each receive Freschetta® Pizza for a Year! Join the Freschetta Rally Mosaic and say bye to bland pizza! Look for me in the Rally Mosaic! I'm wearing my favorite sombrero. What is your earliest memory of the Oreo Cookie? I remember as a kid taking them apart and eating out the cream and then dunking the cookie into coffee! As an adult, I don't do that anymore because there are so many other awesome ways to eat them. You know what I'm talking about. 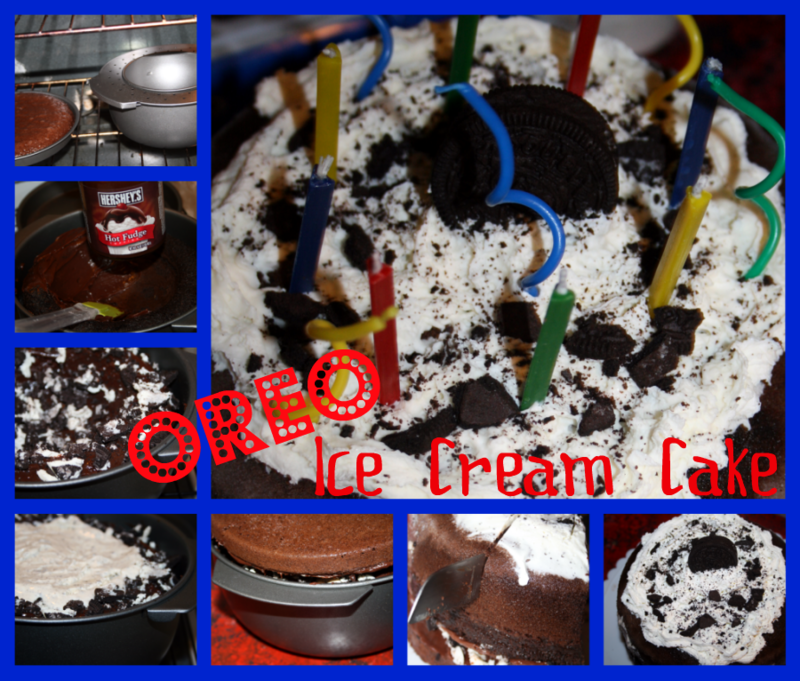 Who hasn't hear of Oreo Cookie Cake, Oreo Martini, Oreo Sweet Bread, Oreo Fudge, Oreo Blizzard, Oreo Sundae, etc etc etc. Join in the fun and link up your Oreo recipes, crafts, pictures, and blog post related to this tasty cookie! I can't wait to see what you link up. Oreo turns #100 on March 6, 2012. 1- Make both cake mixes according to box recipe. Stir in 2 cups of crushed Oreos. 3-Once cake is done, let cool according to the pan directions. 4-Spread a heavy layer of fudge in the dome and then add in the soft ice cream. 5-Spread a heavy layer of fudge on the bottom later of the dome pan and add crushed oreos to cover fudge. 6-Add bottom layer to dome and flip it over. Freeze until firm. I did mine 8 hours before serving. 7-Top cake with whipped cream, crushed up Oreos and fudge. Slice and eat. I've seen these pans for as low as $10 in the store. So look around for them to find the best. deal. 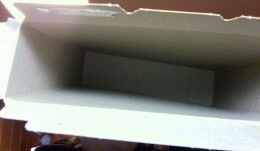 I have also seen them, like brand new at resale it shops and garage sales. It really is easy to make and once you have the book/kit you will understand the different pans. It only took 45 mins mix, bake and decorate. If you want to play along, this is set up as a blog hop. So just grab the code and put it on your blog. I will give each and every one of the link ups a pin on Pinterest. I will give Oreo its own board on Pinterest! 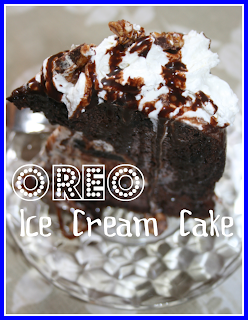 It will be the go-to spot to find Oreo treats! So get linking and click above this post to tweet it out to your friends! 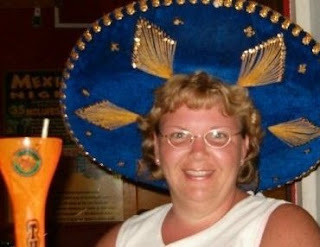 Today I"m featuring Kristi Heinz, Gigi Hill Independent Stylist and here is her story! I have always been a “purse girl.” I love bags; and I have gotten to know them. Having worked in a boutique for a couple years, I really got to see a wide variety of bags. Now, I have found the perfect combination of quality and style; that’s partly why I love my new job so much! After admiring and purchasing a number of Gigi Hill bags over the last two years, I continued to be amazed. My “Audrey” is a large, organized bag in an oil cloth fabric that I have carried regularly over those two years, and it still looks new! I reached a point, though, that I could no longer just purchase these bags. I needed to share them! 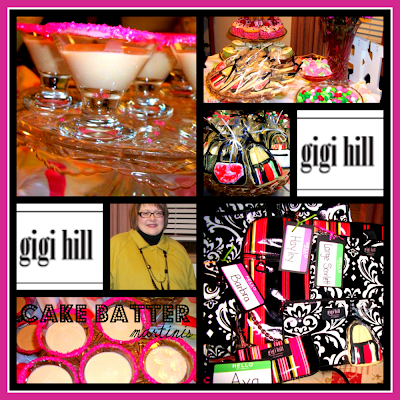 I am now an Independent Stylist for Gigi Hill, a direct sales company of purses and bags, based in California. So in January, I signed on with Gigi Hill, and purchased my sales kit. I invited about 20 of my friends who are always supportive of me, and threw my “launch” party. So many friends were there who came to be supportive, and ended up falling in love with the bags, like I have. It’s not just about the bags, though. 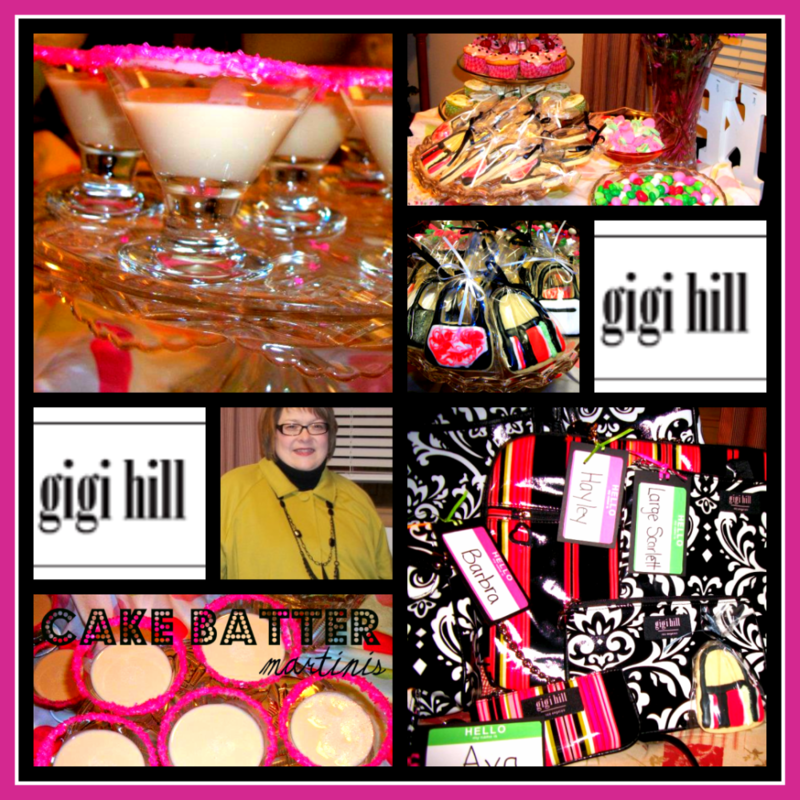 Gigi Hill parties are about making connections – friends – building relationships with other women. 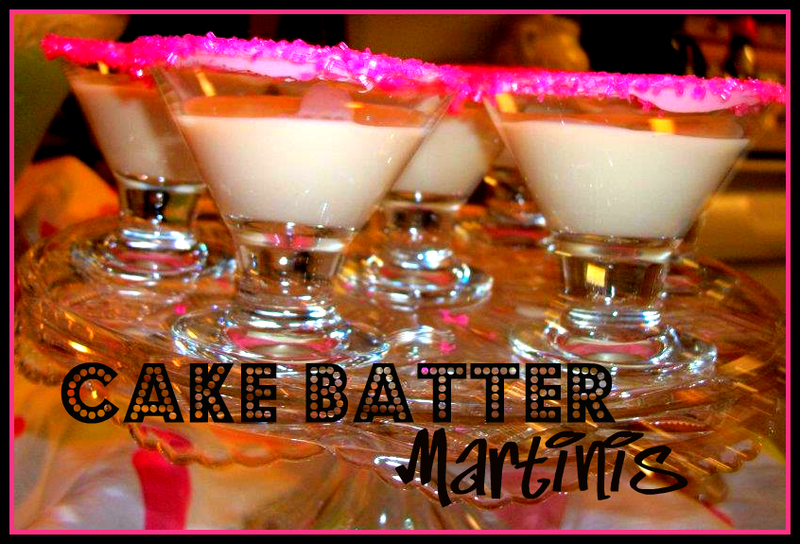 We enjoyed conversation, some fun food, and some delicious “Birthday Cake Batter Martinis.” And yes, we enjoyed looking at, admiring, and handling these fun bags! How about you? Do you love bags? Would you like to earn some for free? You can host a home party. Better yet! Would you like to have a ball, making some extra cash? I’d love to talk with you about a career as a Gigi Hill stylist! (over) *FREE BAG ALERT* If you click on the link for my Facebook page, and “like” it, you will be entered to win a free bag that will be given away on March 1, 2012. Here is my business page. Feel free to check out Gigi Hill. Please stop in at my Facebook page and let me know if you have any questions. Using your finger, coat the rim of your glass with frosting – make sure not to miss any spots! Dump sprinkles on a plate and press glass rim into sprinkles, pressing to adhere. Combine all ingredients in a cocktail shaker with ice and shake for about 30 seconds. Strain into glass and drink. $5 Sale ends TODAY! 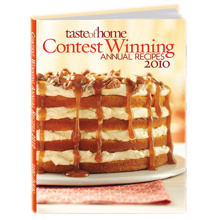 Taste of Home books at 80% off! $5 Book Sale now through February 27th. Supplies Limited! For additional savings use code: LS108 for free shipping on orders over $20! The HUGE Taste of Home sale ends TODAY! 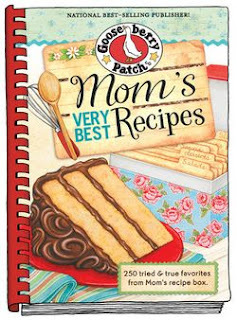 Get select cookbooks, gardening, home and children's books for only $5 (up to 80% off) while supplies last! Friday-Fish Friday! I haven't decided which recipe I'm going to cook from the Fish/Seafood list. Check it out and find something new. Link up your menu or any tasty recipe below. All that link up on Monday will get a pin on Pinterest! 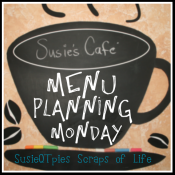 I'm also linked up to OrgJunkie's Weekly Menu. So do you like Ribs? 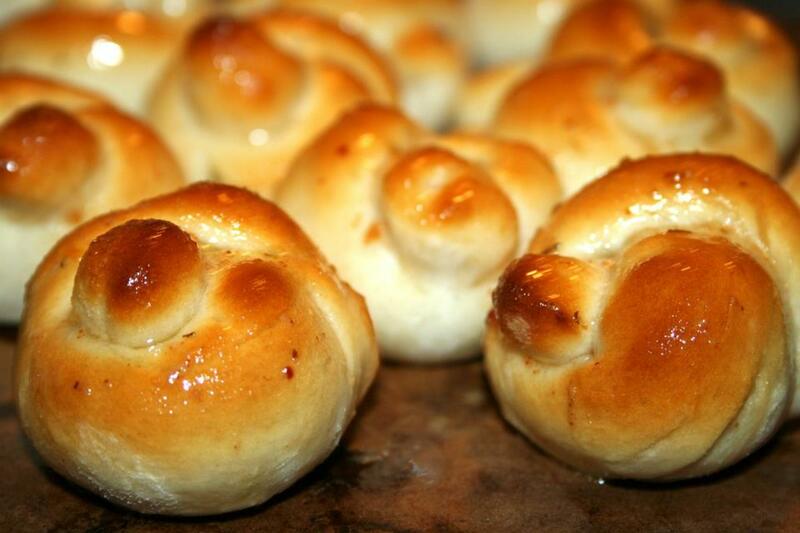 I never use to like them so I never made them for my family. 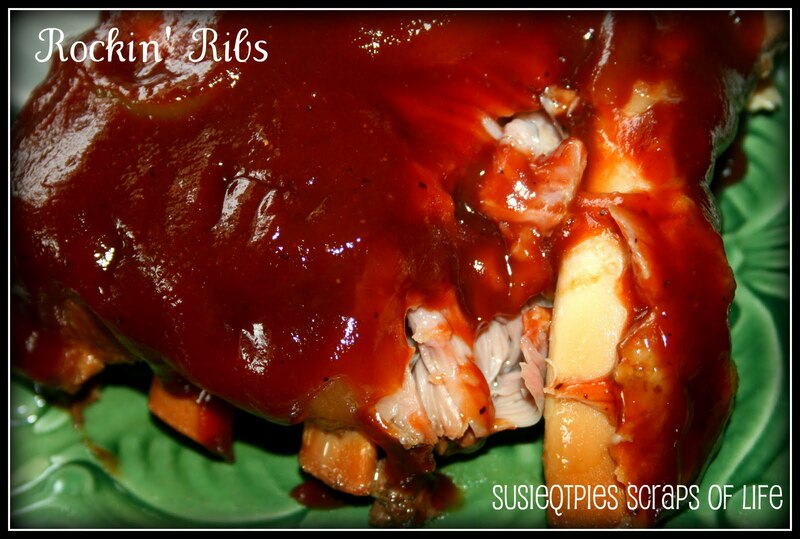 My husband has ALWAYS loved ribs and would order them when we would dine at a few of his favorite restaurants. I LOVED watching him get into his ribs, all saucy and messing, eating everything off of the bones! As much as I loved watching him, I always refused to eat them. Anyhow, about 8 years ago, I decided to make my husband ribs for his birthday. I always make my family whatever they want for their Birthday Dinner or we all go out to a restaurant of their choice. For some reason I had it in my mind to make ribs. I looked through many recipe books searching for something that seemed tasty. I ended up pulling together a few recipes and decided that I would make him the best ribs ever. This was the year that I also made him an ice cream cake. 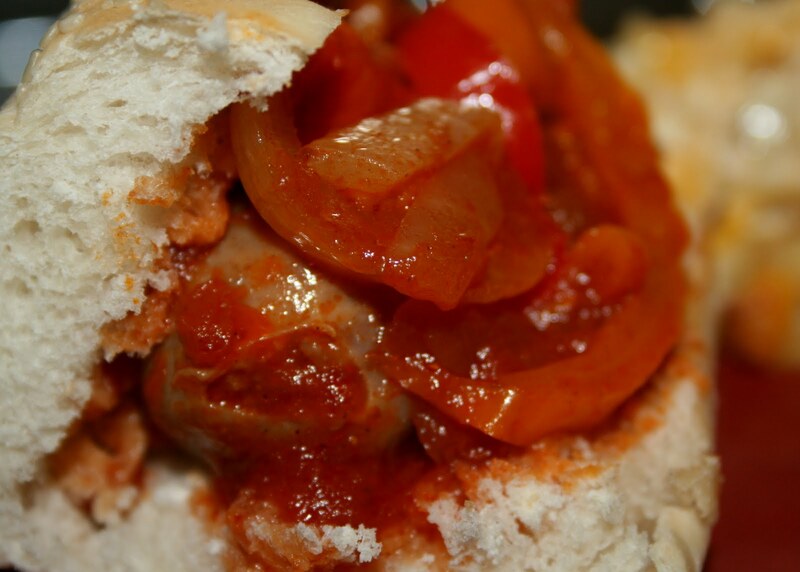 I was on a roll that year because these two recipes are some of this favorites. I cooked the ribs in the crock pot. The downside of this was that I was home all day and I had to SMELL the ribs ALL DAY LONG. The positive side of this is that they smelled so good that I could not wait to taste them for myself. I did taste them before serving and they were....AWESOME! I converted myself into being a rib eater. 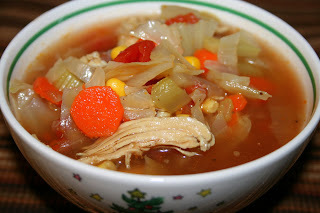 My husband and kids all love this recipe and so does anyone else we make them for or share the recipe with. I'm convinced that cooking with LOVE and Coca-Cola® did the trick! Try 'em and let me know what you think! Mix brown sugar, garlic and liquid smoke. Cut rib rack into 3s. Spread on brown sugar mixture as you put in crock pot. Between each rib add onions. Do this for all the ribs and onions. If you have any extra sugar mix then just dump it in crockpot. Pour in Coca-Cola®. Cover and cook 6-8 hours on high. You'll know they are done because they will be super tender. Note: I think that the BBQ sauce is a very important part of the ribs. We ALWAYS use Sweet Baby Rays! I think they sell this sauce all over the place! I"m linked up in Tasty Menu plan and Melt in Your Mouth Wednesday! Our teen daughters are all cursed with various levels of acne. It brings back memories from my teen days. I remember buying almost every over-the-counter soaps, lotions and promised potions to help zap my zits. In time, as I aged the acne slowly went away. I'm reliving the buying of all the products with these three teens. 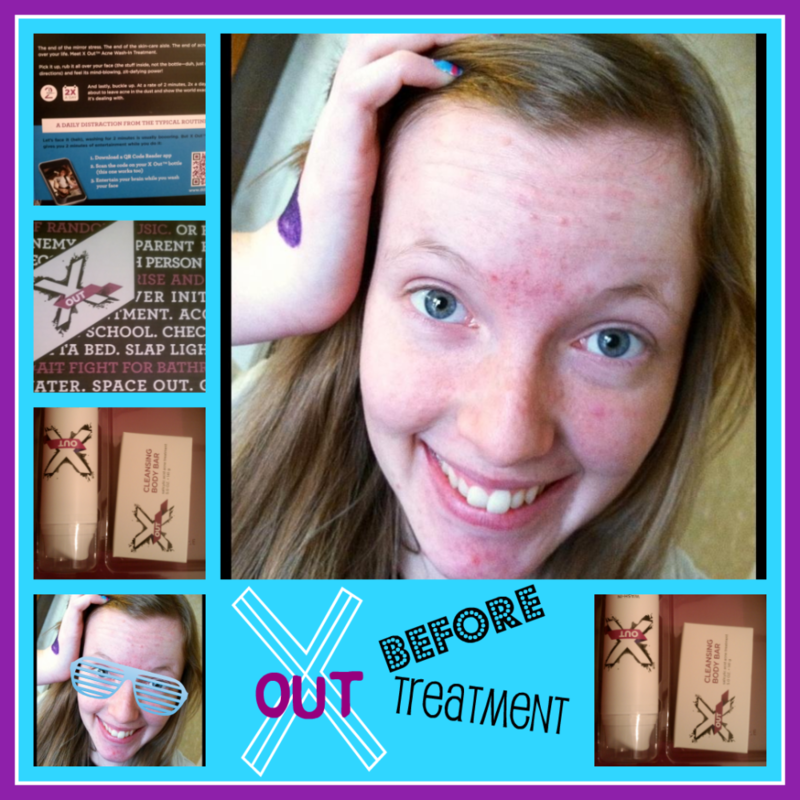 One of my girls, Super Teen Sophia (STS) will be trying another new product called X Out (click the link to find out more about the products.) Have you ever heard of it? I haven't until now. STS is going to take on the X Out Challenge and see if one month of using the product changes the amount of break outs on her face. The above picture is the before treatment (oh and in 1 month her photo will really look different because she will have braces on her teeth) for you to see. STS is a beauty and her zits aren't too awful in this photo but they are there and they are not fun. Some are painful and she is worried about them leaving scars. STS has a face cleaning routine with whatever products she chooses. Her routine, I don't believe, includes cleaning her face twice a day. With the X Out challenge, STS will need to care for her face twice a day. This will be her biggest challenge. She will need to figure out how to plan enough time in the morning to clean her face before heading out to school or work. Part of the X Out routine is to clean or mask the face twice a day. Not only does she need to wash her face but do it for two minutes. To a teen, two minutes seems like a life time! X Out is in tune with teens because they created a QR code and it is on the bottle of cleaner. STS is supposed to snap a picture of the QR code and it will give her a short, two minute daily video to keep her entertained while cleaning her face. The same product can be used as a face mask, which requires 10 minutes on the face or a quick 2 minute zit zapper on a problem area. Come back in a month and see if STS survived the rigorous treatment of washing/caring for her face twice a day. Will she survive? Will the X Out product zap her zits?? She is a willing participate in this challenge but she doesn't think this product will be anydifferent from anything else she has tried over-the-counter. To find out more about X Out, check out their website, Facebook or Twitter accounts. I wrote this review while participating in a test drive campaign by Mom Central Consulting on behalf of X Out and received a X Out product sample to facilitate my review, one to giveaway, and a promotional item to thank me for participating. 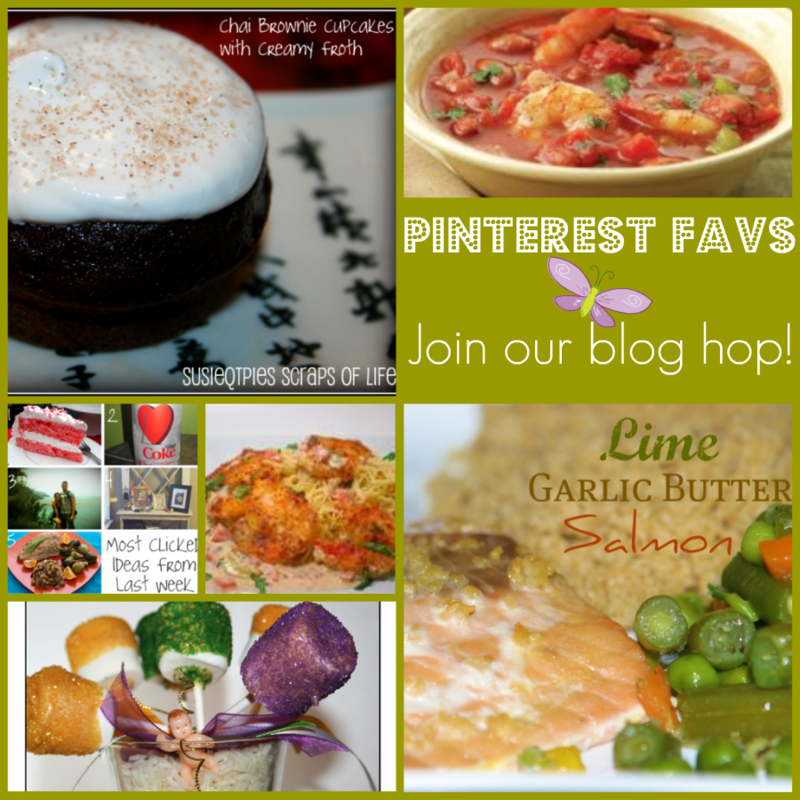 Thanks for joining in for my 8th week of the Pinterest round up. Each Saturday I'm going to list some of my weekly favorites from my blog and a few of my friends. Ask to cohost and I will feature you, too! YOU DON'T have to make a combined photo to participate. Link up any post that you want someone to pin for you! In turn you pin my post and another post! THAT EASY. Thanks to 3 Boys and a Dog and Crystal & Company for being cohost! If you aren't on Pinterest and want an invite just ask and I will send you an invite. 3-Lime Garlic Butter Salmon-I can't wait to try this! 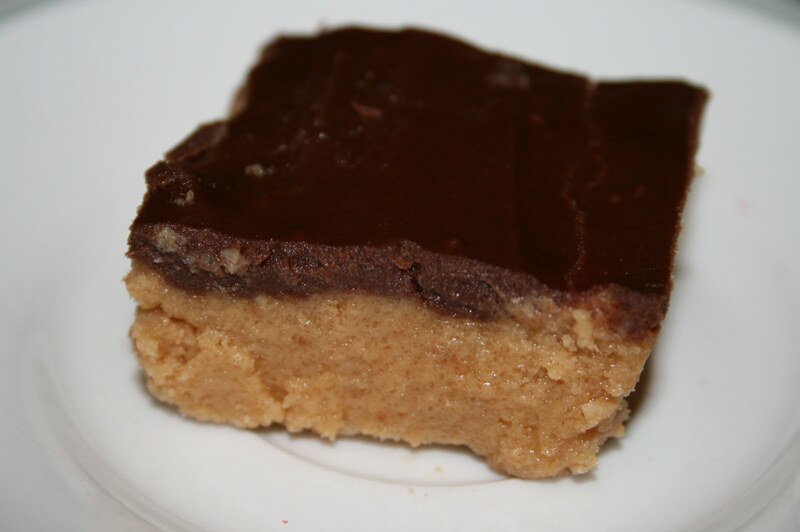 4-Mommy Solutions-Check out the awesome 2 ingredient cake! I have had eczema as long as I can remember. I hate skin flair-ups. Some are predictable. Others aren't. I don't even wear my wedding ring most of the time because it also irritates my skin. My husband has it, too! Yes, we are a mess. Thank goodness our 3 daughters have been spared from any major flair ups and I hope that they are spared as they age. Do you suffer from skin issues? From what I have heard, the term eczema gets tacked on to most people with on and off again skin irritations. Most doctor's prescribe lotions & potions with random results. 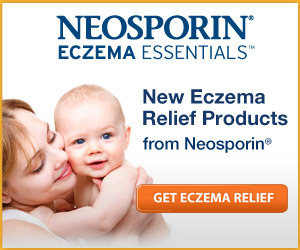 Neosporin has introduced a new eczema skin care line. I'm really excited to try the daily body wash for myself and the daily moisturizing cream for my husband. The cream is fragrance and steroid-free! I also want to have on hand the Anti-Itch Cream to provide a more immediately relief when my kids do get a break out. 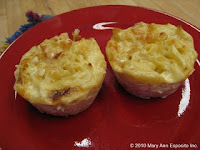 I have an incentive to try their new products with the printable $5 coupon at Walmart.com. I love coupons! When children have eczema, its negative effects are felt by all! So as the mom, I want to have products on hand to have bring relief to them and to us. 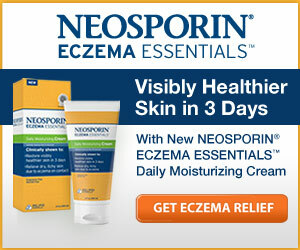 Did you know that Neosporin has been the experts in skin care health for over 50 years? This is a sponsored post through Global Influence. All opinions & thoughts are my own. I haven't tried the products, yet, but plan to using the coupon above. 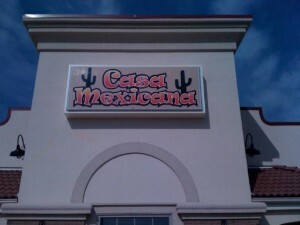 Save 50% at Casa Mexicana Restaurant in Cape Girardeau MO!!! Casa Mexicana is Cape's premier location for authentic Mexican cuisine, great atmosphere and exciting drink and bar specials. Take advantage of the new patio and enjoy your dinner and drinks outside while soaking up some beautiful spring sunshine that is right around the corner! Always fresh, always authentic, always fun... Casa Mexicana is the place to enjoy The Authentic Taste of Old Mexico with great friends! This information was provided by My Town Half Price website. Click here at Casa Mexicana to read more and get the HOT meal deal! I'm a huge fan of these 50% off meal deals. Typically I use them to take my husband out to dinner. 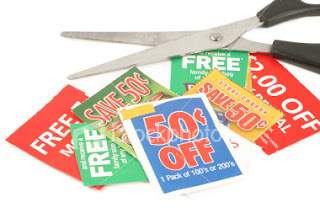 Most of the vouchers cost $10 and the value is $20. Today I nabbed the vouchers for Thai D in Marion, IL. This is one of our favorite restaurants. If you have never had Thai food, this is the place to go in Marion. I prefer Thai over Chinese food in this area. 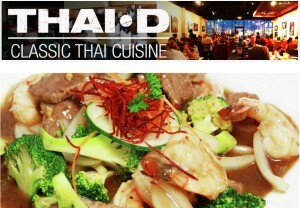 It has a fresh taste and Thai D the portions are great for the price. So click, Thai D, and run and get these vouchers before they expire. As of this post, the deal expires in 2 days (Saturday 25th) so get it now! My daughter loves to do her own nails. No, I'm not talking about one or two coats of zippy zappy purple here. I'm talking about making designs on her nails. She is pretty good at it and has even done nails for other people. 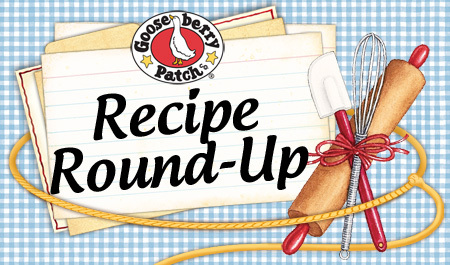 Here are a few of her creations and some coupons for you to try it, too! 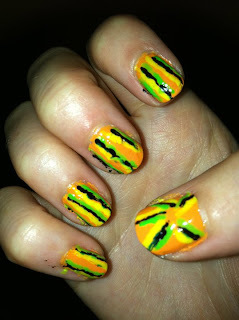 Nail designs are HOT on Pinterest. Follow me there and you can do a search for nails and you will see what I mean. 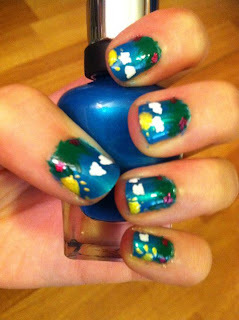 I just made a Nail Art Board to showcase some of her designs. The All You magazine is for you to read while your nails dry :) The magazine is full of coupons and you will probably find more beauty coupons inside!